When we first found out we were having twins it changed so much, everything needs that little bit of extra planning when you are expecting two babies. Something we knew we would have to get ready for when they arrived was their bedroom. Our house is a three bedroom so we knew they would have to share; I wouldn’t have changed that even if we had the room to spare as they love to be close to each other but it does mean that we are a little short on space for them to play in. My absolute dream would be to decorate their bedroom and then convert the loft into an attic playroom! The loft hatch is in their bedroom and how much fun would it be for them to have their very own playroom above them? Their bedroom is quite large but once we have two beds rather than cots there won’t be much extra room for them to play in. At the moment the room is just plain with a few space stickers on the wall from when Lucas was in it. 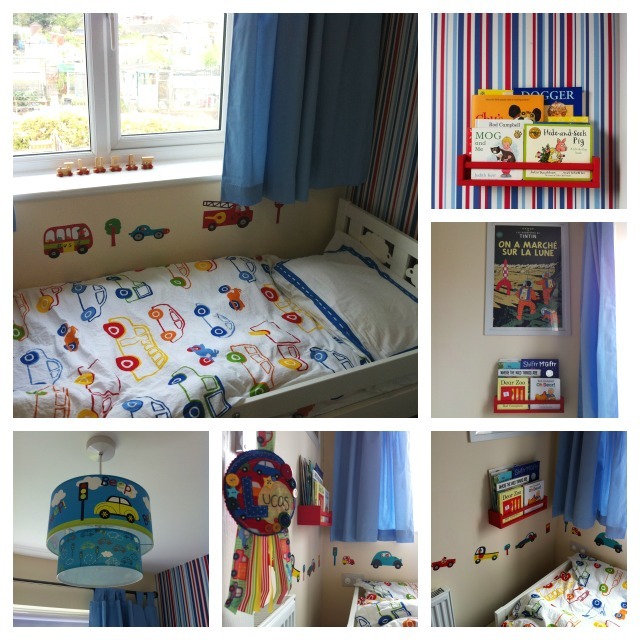 When he moved out into the smaller bedroom we decorated it all with lovely bright colours and car stickers and he loved it! It was so much fun to plan what to do with his room and it coincided to his move into a big boy bed so we are going to hold off on decorating the twins room until we can do the same. This of course means all the more time for me to plan and shop around to see what I like. Planning a bedroom for twins is a little different as you have to use the space carefully but I like picking up little added extras from craft fairs and markets and I really love children’s bedrooms that are bold, colourful and quirky. Ikea is one of my favourite places to shop for children’s furniture as everything always seems so colourful. 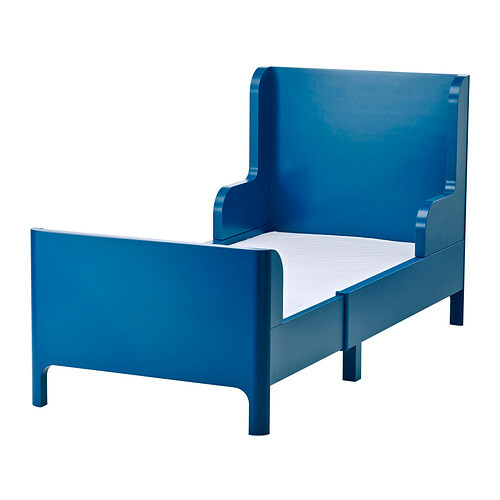 I love these toddler beds and as they are smaller than a single bed I’m sure we could fit two in easily. Now onto the playroom: it would be fun to let this really be a space for the boys with all of their favourite things in there. I’m pretty sure that given the choice it would revolve around cars, planes or trains. I imagine it would be very light and airy which would be perfect for when they were playing but when it isn’t in use I would want to keep it cool with blinds. Looking around, Itzala has a fantastic choice of VELUX products that would work perfectly in a loft conversion. There is a great range of colours and styles and VELUX even have remote controlled blinds for if they are out of reach and you want to adjust them regularly. This would be ideal for a loft conversion as you could just pop up and click to shut them when it isn’t in use. There is so much I could do with the extra space of a playroom and it would be fun not to have to worry about fitting in beds. For now that is just a dream but the planning of their big boy bedroom is fun and it won’t be long until we are ready to decorate their own room afresh!